According to Electrek, with the reduction the average price of Superchargers went from the original $0.23 per kWh to $0.31 and now back down to $0.28 per kWh. That's average pricing in the US that will vary per station. As part of the change in pricing structure, Tesla is moving away from per state/region pricing, instead letting stations set prices based on local electricity rates and demand charges. According to Tesla's website, it is still cheaper to use electricity than gas, but there is a major caveat. The price of gas is assumed to be $2.85 per gallon while the estimated electrical cost is $0.31/kWh. Gas may be around that price in New York and California, but it is closer to $2 per gallon for a significant portion of the United States at present. The current national average is $2.24 according to AAA, with several regions seeing prices under $2 per gallon. 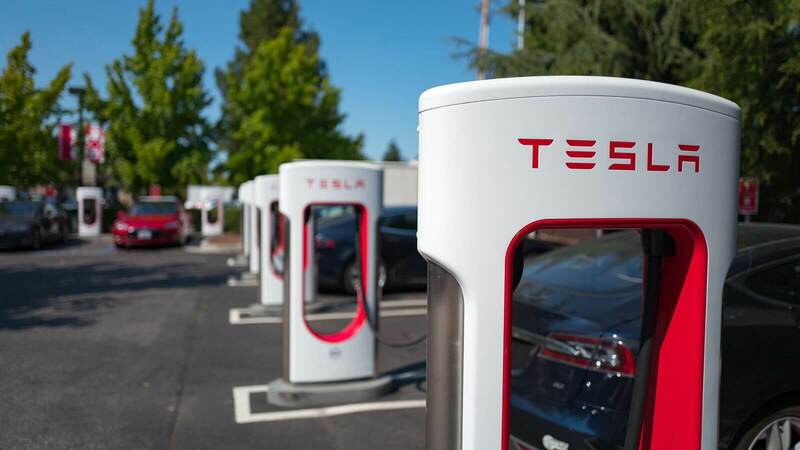 At current gas prices, Supercharging a Tesla in certain areas is in fact more expensive than just refueling a car that also is cheaper to begin with. For 100kWh battery packs, a full charge costs $32 to $36 based on the new rates. Refueling with 12 gallons of gas at Tesla's claimed $2.85 per gallon costs $34.20. At the current national average, 15 gallons of gas is slightly cheaper than charging a Model S or Model X.
Lounds and DaveBG like this. How many miles do you get on a tank vs. that Tesla charge? Digitalzone and ForgottenLegion like this. And I can fill up my car with $40. It all depends on where you live and how much tax is on gas. And the above comparisons between gas and electric assume that the mileage is similar. ForgottenLegion and Greg S like this. We hardly ever charge on the road. Offpeak electric rates in Minnesota are 7.5 cents/kWh. Over the first year of driving our Tesla it cost us between 2.5 and 3 cents/mile. And that is driving in a cold climate half of the year. Superchargers are mainly a convenience for long trips, and most miles will be around home, for which the cost of an EV is still way less than gas and way, way more convenient because you don't have to stop at gas stations anymore. Digitalzone, hsull8915, Reachable and 3 others like this. For those interested, I just found that Connexus in Minnesota offers offpeak charging rates of 4.5 cents/kWh between the hours of 11 pm and 7 am. At this rate the tires are the single biggest operating expense on our car. But honestly, if you're buying a Tesla because you need to save money, you might not be the sharpest tool in the shed... I understand reasons such as convenience, prestige, "saving the planet", etc... but cost? If you're worried about cost, buy a Corolla...or better yet, take the bus! Puiu, Theinsanegamer, ForgottenLegion and 3 others like this. As others have pointed out, the focus is long drives and the focus of current fuel averages not averaged over many years gas - prices will rise again. Most driving is local, and the majority of EVs are charged at home or work. I have never been able to fill up my gas car overnight while sleeping. Also with solar (which I installed years ago) the charging is basically at no additional cost. no comparison - convenience - cost for well over 90% of my driving. The different methods of charging and different facilities(I.e. solar, home charging, work charging) should be incorporated into the discussion. Also convenience factors. I would pay extra to wake up with full car everyday without having to make a special trip to sit in line a Costco or breathing fumes or having my credit card skimmed, but fortunately I don't have to pay extra. Reachable and MiniGolf like this. Squid Surprise, I agree with you that a better alternative is to take a bus. No question. And you are also correct that our purchase of a Model S was not to save money. Nor was it for prestige. I value money more than that. We traded in a Chevy avalanche that cost us $5000/year in depreciation. Our Tesla Model S depreciated over 10 years would cost us $9000/year (assuming it's worthless at that point), but we are saving $3500/year in fuel savings alone (at current prices). We can argue about whether maintenance is more or less, whether we lost interest income, etc., but the big picture is that we are about the same as we were with the truck. Had we bought a Model 3 we would be way ahead. But my reason for buying a Tesla was that 2 years ago Tesla was the only company making a car that worked for us, and because I write about Global Warming and the urgent need to stop burning fossil fuel, I could not wait. I do not encourage others to make a rash change as we did. I simply encourage people to start looking at EVs now, so that when they reach a natural time to replace their current ICE vehicle they give EVs proper consideration in their purchasing consideration. I also like owning a Tesla because it is a natural way to get into conversations about renewable energy and EVs. Yes, one of my goals in life is to educate people about EVs and to get them prepared to consider them the next time they buy a car. In my opinion, we have already reached the point of price parity if you factor in lower fueling costs and probable lower maintenance costs. Reachable and UaPro like this. Until EV's are ubiquitous, hybrid engines are a smart next step in buying a new car. Seeprime, hybrids are a good next step as long as they are plug-in hybrids with batteries sufficient for typical commuting ranges. That allows a person to lock in predictable, low energy rates with offpeak home charging. A standard hybrid in the US does not do much except make the vehicle much more complicated and expensive to repair, because so much of the driving is on freeways where standard hybrid cars offer, at best, a marginal increase in mileage. Hybrids only really save money in city driving. So if your recommendation is to consider plug-in hybrids, I agree that is better than continuing with ICE vehicles. The author compares the highest charge fees paid in California and New York to what fuel costs on average in the country. Please have some integrity. I see this article as factual, comparing two states with the highest electric and gas rates. The article does mention other states with much lower electric rates and uses Teslas supercharging rates for comparison purposes. Nothing new here but bringing out reality to those with myopic rose chilled glasses unwilling to see how costs vary from state to state. Fuel prices already reflect this with Texas and other states having the lowest prices for gasoline while other states have the lowest electric rates. Whoever thinks taking the bus is more fuel efficient is wrong. MAYBE it is since the bus is running anyway but last time I road the bus there were only 1-2 people on it and when you take the cost of 8-11mpg that a bus gets along with the fact there is a person driving it that needs to get paid it would of been cheaper if that person had just drove a Prius. Not cheaper for the customer but cheaper for the planet. If you get 50mpg with a prius you need a min. of 5-6 people riding a bus to make up for the fuel used driving 5-6 Prius's. I've seen buses empty a lot of times so its bad for the environment. Maybe in populated areas its good but where I'm at it costs the city $2 million in tax payers money to keep the buses running. I remember the promises of electric cars being cheaper to run, I remember how it was a selling point of the S how much cheaper electricity was. I also remember this very issue being brought up. "what happens when the price of electricity works its way up?". We were told off-handedly that our fears were unfounded, and that electricity wouldnt become as expensive as gas, and once all the vehicles in the world are electric the electric rates would remain the same. Who is laughing now? My sentra does 370 miles on 10 gallons of fuel. That's roughly $20 around here right now. The model 3 costs more then that to fill up at a supercharger and only gets around ~310 miles on the same freeway driving. If the electricity costs stay higher like this, that is another strike against the more expensive EVs. If they want to convince us that EVs are going to save the planet and we should buy one, they either need to dramatically lower the entrance price or dramatically raise the range per kW. Anyone who claimed/claims EVs were/are cheaper are simply bald-faced liars and charlatan hucksters. EVs, as an economic choice vs ICE, never made sense. You pay significantly more upfront, need to spend thousands to add charge capability at home (or be stuck with trickle charging at 120v) and are now being charged market rates for Super Charging. At best, you might be breakeven after a decade if you enjoy low electric pricing and don't do much Super Charging. However, in perhaps 5 years, battery costs should decline sufficiently to allow EVs to go head-to-head with ICE, and when that happens, it's difficult to see a reason why anyone would choose ICEs over EVs. Same size car has 20-15 gallons of fuel not 12... and shall we begin to factor in the cost of oil wars and climate change? It is not always about the almighty dollar in any case. In time the plan is for the super chargers to be solar powered and will reduce the operating costs by 8x or so. This is not a profit center for Tesla. Even if the price of EVs drops to the level of ICE cars, range and charging limitations will still be an issue for many. Most of us need one car that can do everything, including longer trips. Now, if they could get 600 miles out of the model 3 at under $30K, and the supercharger network would dramatically expand to every major highway in the US, I could see them entering mainstream dominance over ICEs, but that is a long time away from now. What does the size of the gas tank matter? That 20 gallon tank car can go well north of 500 miles on a tank, while the tesla cant manage much more then 300. If you want to factor in the "oil wars" and climate change, you should also factor in the pollution caused by cobalt and nickle mining, the use of child labor in these processes, and the increased use of fossil fuels to power all those EV cars. You can wax poetic about solar all you want, but there is currently no modern country that can sustain itself on solar, much of that extra demand will come from oil and natural gas, possibly even delay the closing of coal plants by a decade or more. My free nights plan means $0 for 310 miles. Realistically though my average is now $0.1033 per kWh, which makes it $8.33 for 310 miles. Sure supercharging during a trip is comparable to gas at the moment, but that's not the normal day-to-day usage and gas prices are notoriously volatile. While nice, not many of us get free electricity. That cant really be used as a selling point for the cheapness of electric cars anymore then if I got free gasoline from a family member that owned a refinery making ICE vehicles cheaper. The home rate is fine as long as you never travel over 150 miles from home. The numbers in this article are skewed. A 12 gallon 'fill up' does not equal a 100 kw charge. The 100 kw long range batteries on the Model S and X are compatible to an 18-19 gal fuel tank on vehicles of similar size and specs. For example comparing a Chrysler 300 (18.5 gal tank) with Model S. That would be $47.55 to fill up with mid-grade at AAA reported average of $2.57/gal or $52.35 to fill up with premium at AAA average of $2.83/gal. The Model X is comparable to a Ford Explorer (I.e. - seating and towing capacity). The Explorer has an 18.6 gal fuel tank. Using my previous average fuel cost numbers that would be $47.80 and $52.64 to fill up mid-grade and premium. I happen to own a Ford Explorer and live in California. I use premium and have always paid over $3/gal for it here. So if I pull in to the gas station anywhere under a quarter tank I will usually spend over $50 to fill up. The thing with Tesla's is you don't have to use a Super charging station unless you are on a road trip or drive more than 200 - 300 miles in a normal day (most of us don't). Most Tesla owners charge at home where the national average per kilowatt hour is 13 cents. That means you can charge the full 100 kilowatt Tesla battery for $13.00 average cost. That is less than 25% of what it costs me for gas. The big difference is I have to go to the gas station because I don't have one at home. 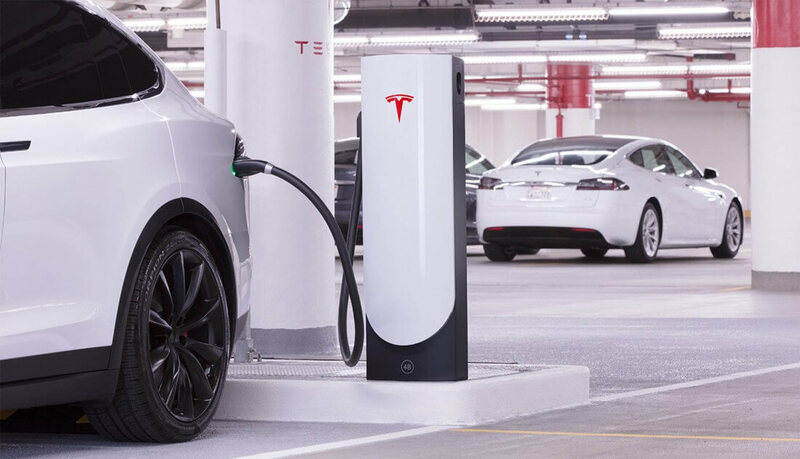 Tesla owners have multiple options how and where and when to charge their vehicles and are not by any means limited to use Super charging stations. If you're going to use shock and awe headlines, be prepared to be called out for being innacurate as this piece really was. Bill Hepworth and DaveBG like this. Shouldn't we begin factoring in the environmental cost as well? So much misinformation in one place I have not seen recently... The big oil is strong whit this one ! Georgia Power has a plan that's 1.4 cents for those hours as well.